The excitement was palpable even before the doors opened for the Living a Creative Life Congress. 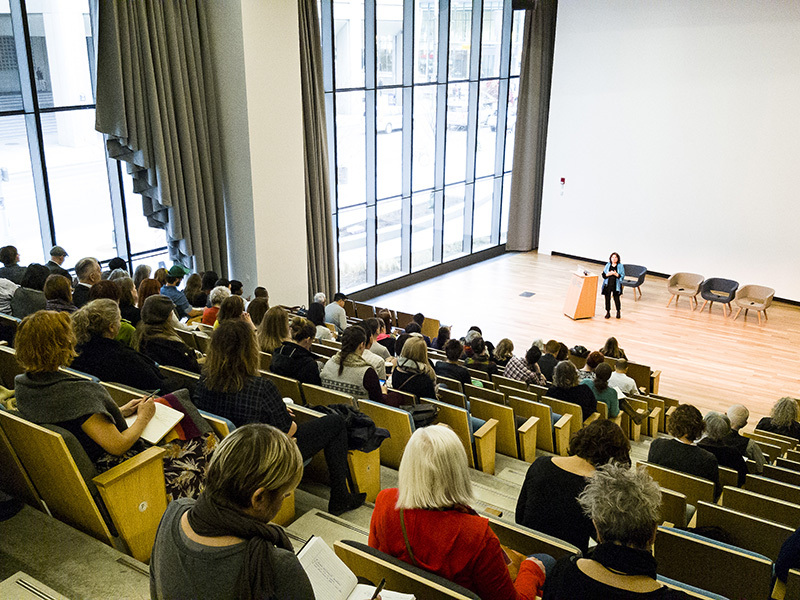 Held on November 21, 2018 at the stunning new Central Library, the stylish crowd waited to get in before the clock struck 8:00am. Full of community staples and new faces, tons of creative ideas were shared over breakfast and coffee—everything from the talk of projects and creations to the idea of a cross-Canada congress based on a similar model were enthusiastically discussed. Starting with a Cree welcome song and land acknowledgement from Chantal Chagnon and an introduction from Calgary Public Library CEO Bill Ptacek, a day of knowledge sharing kicked off with open arms. A shinning community hub, attendees took time to explore the new building and library visitors stopped by to see what the congress was—some even joined in. Having been only open for 20 days that morning, the library had already welcomed over 135,000 people through its doors. “I think the real star of this whole deal are the people of Calgary who have come in great numbers,” said Ptacek during his welcome. “But they’re not just coming to look at the building, they’re not just coming to observe. They’re participating. Using the arts development strategy, Living a Creative Life, as a jumping off point for the day, the themes were challenging and sometimes uncomfortable. “I believe creativity isn’t something that you have to be born with… I think it’s something you practice,” said Calgary Arts Development’s President & CEO Patti Pon in her introduction to the day. “I believe some of the people who practice it the most are artists. Everyday, in all kinds of ways, [artists] are constantly flexing those muscles. 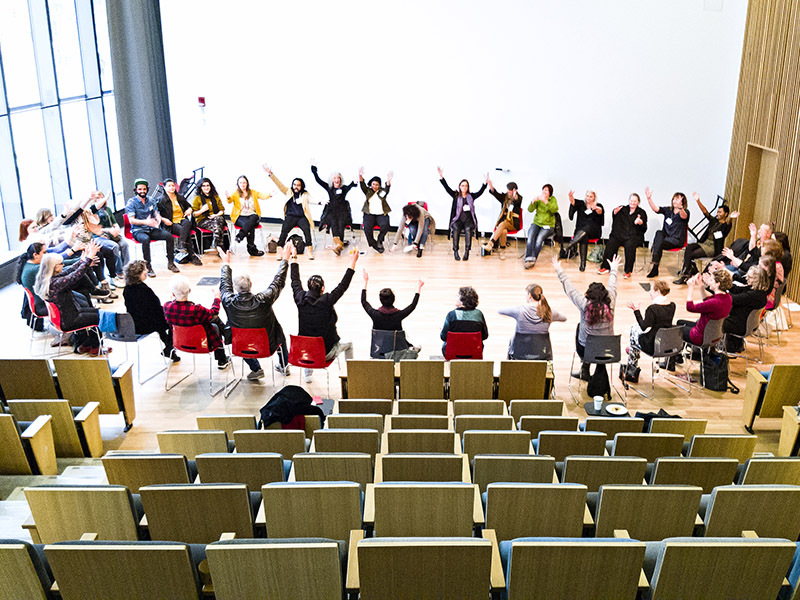 Throughout the day it was clear that Equity, Diversity, and Inclusion (EDI) are core values at Calgary Arts Development. By adhering to the following three principles—nothing about us without us, one size fits one, and creating a virtuous cycle—the day was an example of how EDI has become key to the work. “We are Canada’s third most diverse city,” said Pon. “What does that mean? I think that’s the part we’re trying to figure out. The last few times I have been invited to make I speech, I explain that I play a game whenever I get invited to sessions where if I can get past the fingers of two hands of people in the room, not counting me or the mayor, who are visible diversity, I’ve won the game. Today is the first time in probably the better part of six to eight months where I’ve been able to get past two hands. The congress included a keynote address by one of Canada’s leading forces in the realm of art for social change—Judith Marcuse. Meant to inspire the group’s thinking for the rest of the day, the presentation revolved around a simple, yet radical, question—if artists are to be change-makers, what are the conditions that lead to success in their work? “How can participation in the arts help us live in more fulfilling, more connected ways where diverse needs and visions are addressed in inclusive ways?” she asked. 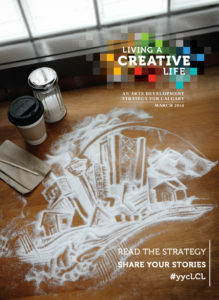 “How might Calgary integrate creative ASC—art for social change—facilitation into its paths and programs? And who might become partners and participants in this process? The presentations ended with a chance to see arts in action with a brief presentation by the Pembina Institute involving art and climate change followed by a panel discussion exploring the piece and why it was created. 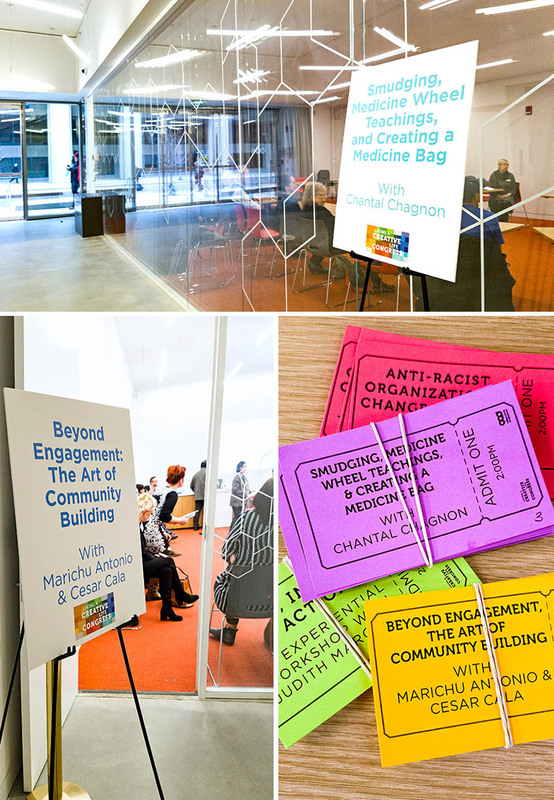 For the rest of the day, attendees got a chance to immerse themselves in smaller groups tackling a wide range of themes including arts, insight, and action, climate change, community building, anti-racism, Indigenous ways of knowing, and artists as change-makers. From laughs to tears, the breakout sessions were inspiring and at times challenging. Each one was an opportunity to learn, share, and connect in a safe and brave space. “Sometimes this work isn’t easy,” said Pon. “Sometimes it releases and reveals things are hard to be in.